It’s been 10 years the terrible tragedy of the September 11th attacks. 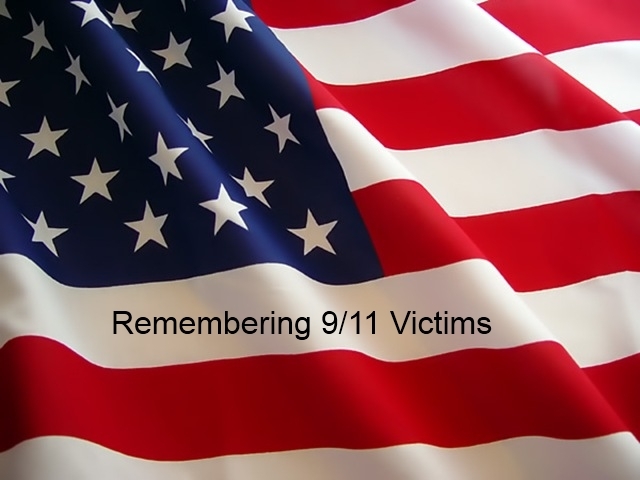 This weekend, there will be many opportunities to remember and honor the victims. For adults, we all know where we were that day and how we heard. We all have a personal story and we will all observe the 10th anniversary in our own way. Many communities will be having their own local memorials services. But the family of the 9/11 victims will be gathering in New York, Pennsylvania and DC. All the major news channels will be covering the events which will include a reading of names and moments of silence. The 9/11 Memorial and Museum will have special tributes as they plan to open their doors this week. They will also have special online memorial options including the ability to donate your Facebook status to all victims or to one specific person who is connected to you. As the 10th Anniversary falls on a Sunday, many churches will have special services honoring fallen police and firefighters. But churches also offer a quiet sanctuary where you can pray for those who have been lost. It is also a good time to pray for good in the world. Beliefnet has gathered prayers and religious readings from a wide selection of major religions. It’s an amazing collection and beautiful way to remember that all religions pray for peace. The hijackers who attacked the United States on September 11th were terrorists. Don’t give into their view of the world. Don’t allow them to make 9/11 a day of fear and hatred. We saw much evil that day, but you can choose instead to remember all the ordinary people who stepped up with amazing acts of love and support. Honor the 1st responders and those we have lost by giving back to your community. Donate to a volunteer fire company. Spend some time at a local soup kitchen. Volunteer Match has opportunities available in your area. I’d be honored if you would click on one of the buttons on the right and donate to an organization doing great work in honor of my birthday and all those affected that day. We will never forget those we have lost. Honor their memories this weekend and by living life to the fullest always.